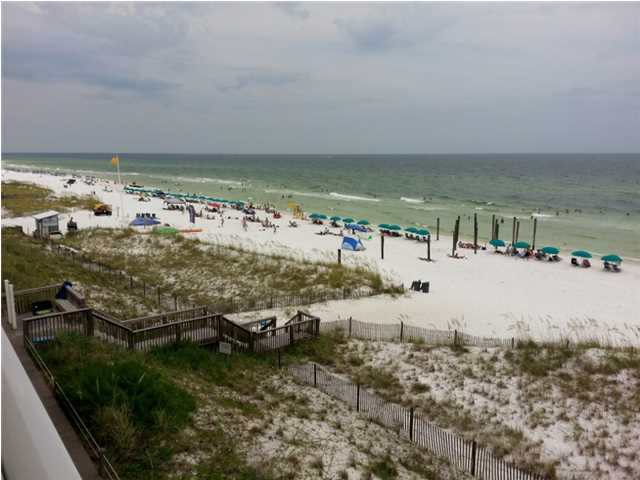 Crystal Sands condo is in the beachfront subdivision of Crystal Beach in Destin Florida. It is a small low-density Gulf front condo with only three floors. 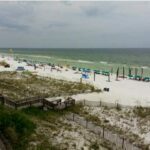 This beachfront condo at Crystal Sands is priced to sell and is one of the few two bedroom condos that are beachfront in Destin or Miramar Beach under 400k. This third floor beachfront condo at Crystal Sands offers additional sleeping area in the loft which makes this two bedroom condo seem like a three-bedroom beachfront condo. It is a rarity to find a two bedroom beachfront condo that is not a penthouse priced in the million dollar range. With this extra space this beachfront condo at Crystal Sands sleeps eight people comfortably. This spacious two bedroom unit at Crystal sans West one out last long at this low price. Bring your offers. Call Danny Margagliano at 850-830-4747 or Arlene Margagliano at 850-419-5300 for more information or to schedule a private showing.